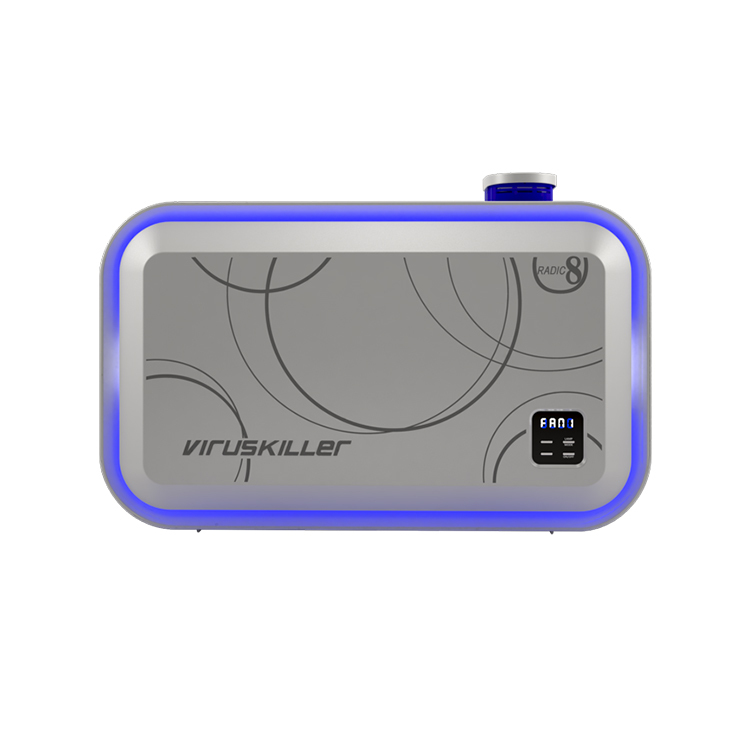 The VK blue is a the perfect air purifier and steriliser for medium to large rooms. Combining pre filter, hepa filter, activated carbon and the reactor cell of 8 super UVC lamps with 40 Tio2 hexagon filters makes it the ultimate solution for spaces up to 60 square meters. As many other HEPA air purifiers, the VK Blue is a great solution for combatting particles such as dust, pollen and dander. 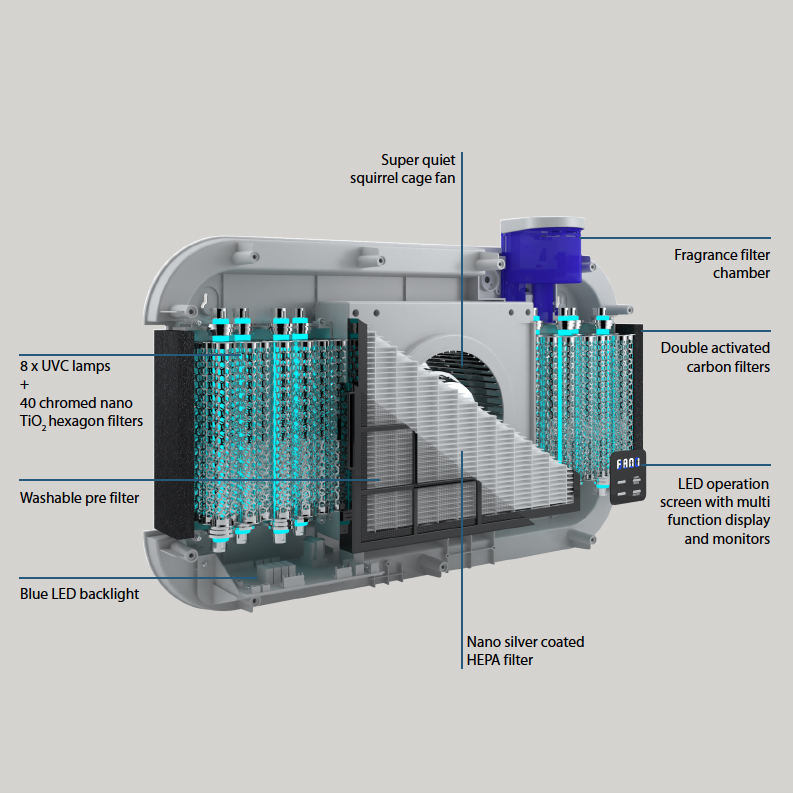 Unlike ordinary HEPA air purifiers, the VK Blue is also super efficient at neutralising toxic gas, VOC’s, viruses & bacteria, mould & fungi … making it the best all-rounder in its class. 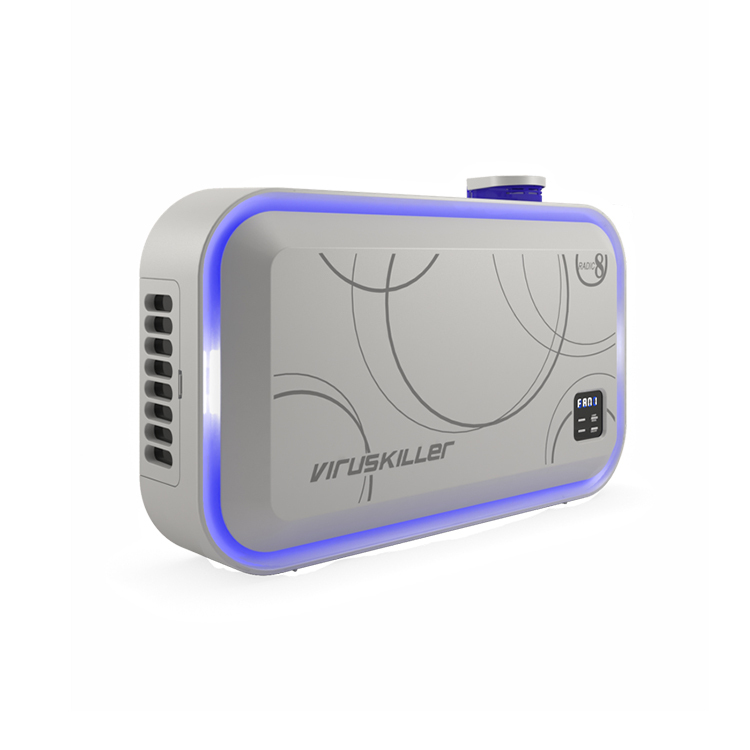 The VK Blue is surface stood or wall mounted, uses little energy and has a quiet operation and unparalleled efficiency making it the perfect choice for home and work environments where people want the highest level of clean air. The VK Blue is 99.9999% effective on all respiratory viruses, bacteria, mould and fungi and gives the highest reduction rates on VOC’s, chemicals and gases – such as 98.5% effective on NO2. 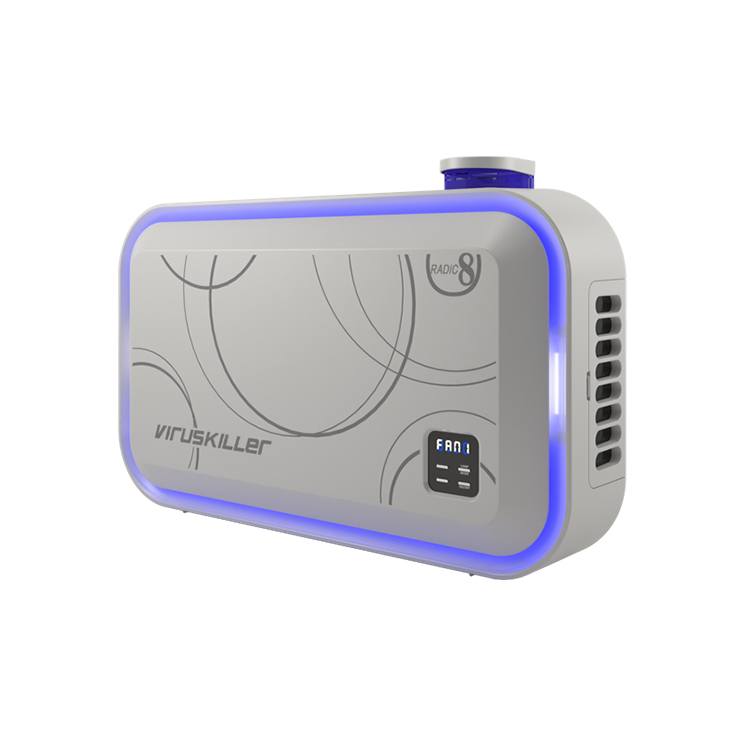 The Radic8 VK Blue is a great air purifier and steriliser for people to use in many environments such as the home, schools & nurseries, hospitals & health centres, public & government buildings etc. It provides a very high sterilisation rate against bacteria, viruses and gases including NO2 from traffic pollution and formaldehyde from furnishings. It is small for a powerful 60 square meter unit and easily fits on the wall making it ideal to put out of the way in public and commercial areas.